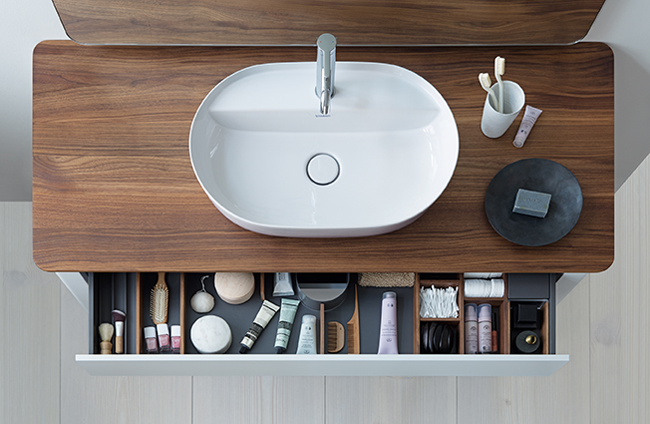 Danish designer Cecilie Manz created Luv, a Scandinavian-inspired series of washbasins, bathtubs, and bathroom furniture for Duravit. 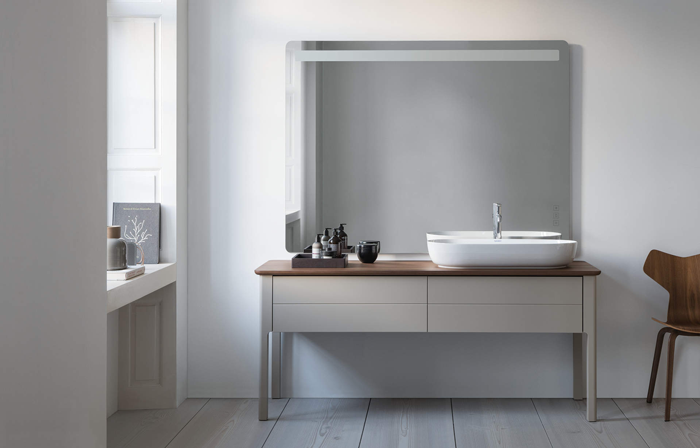 The collection has a timeless, elegant and minimal style, thanks to its gentle forms that follow a stringent geometry. 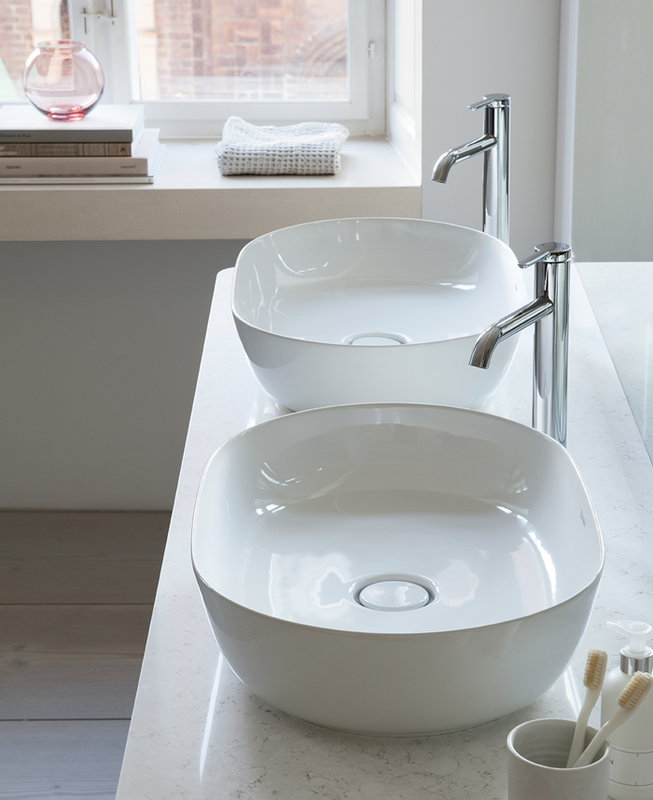 Luv’s signature oval shape was inspired by a straightforward vision from the Danish designer. 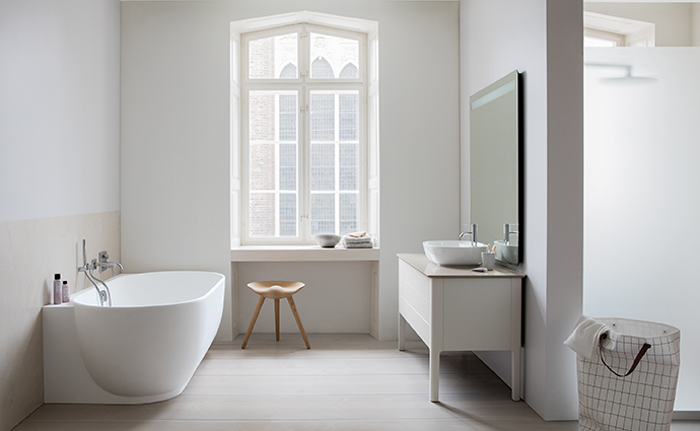 “The image in my mind’s eye from the very start was a bowl filled with water on a simple table,” notes Cecilie Manz. This vision produced the sophisticated purism of the Luv series. 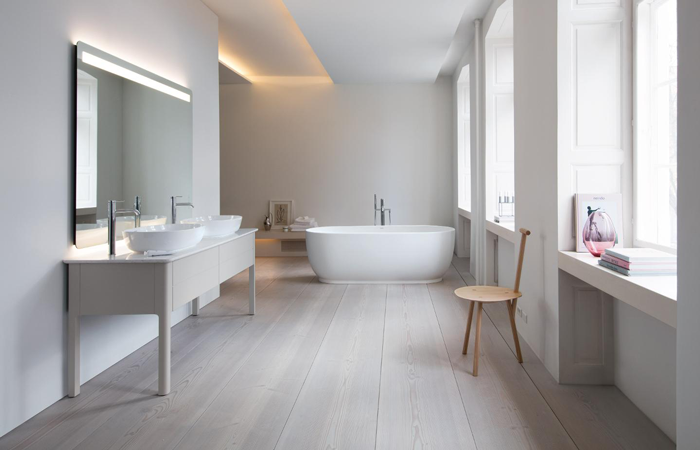 I love this bathroom design. Please would you advise the flooring used please?